Berenkowski explores wetlands during during Summer Lake Huron teacher Institute, and served recently as mentor teacher engaging educators in marine debris science and stewardship experience. 7th grade students learn through taking action. 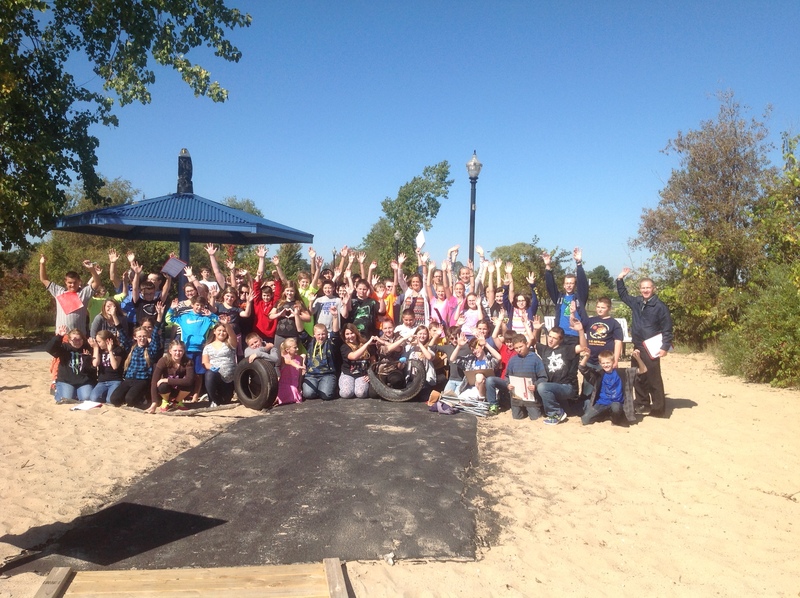 Students measure the amount and type of litter discarded on their local beach during beach clean-up. 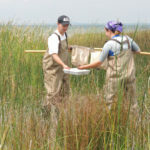 Student citizens collect data through collection of macroinvertebrates on type and population numbers on macroinvertebrate as water quality indicators. 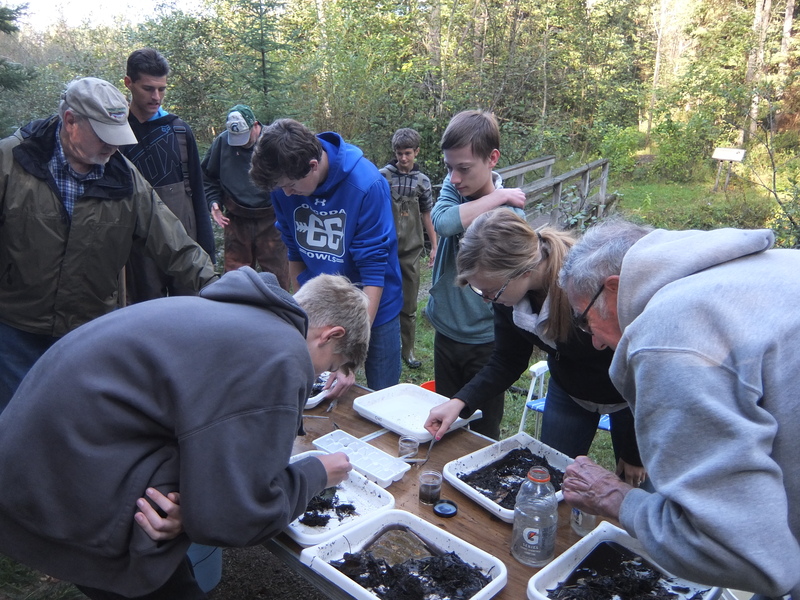 Student citizens collect macroinvertebrates as a biological measure of water quality data, - these data are used to create a benchmark on the health of the Pine River waterway. 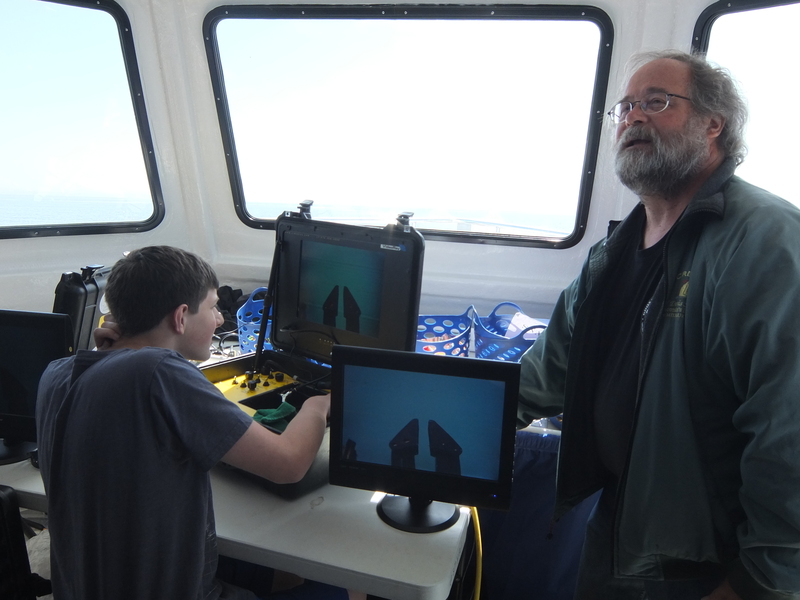 Students provided an opportunity for exposure and experience in using marine exploration tools through active participation. 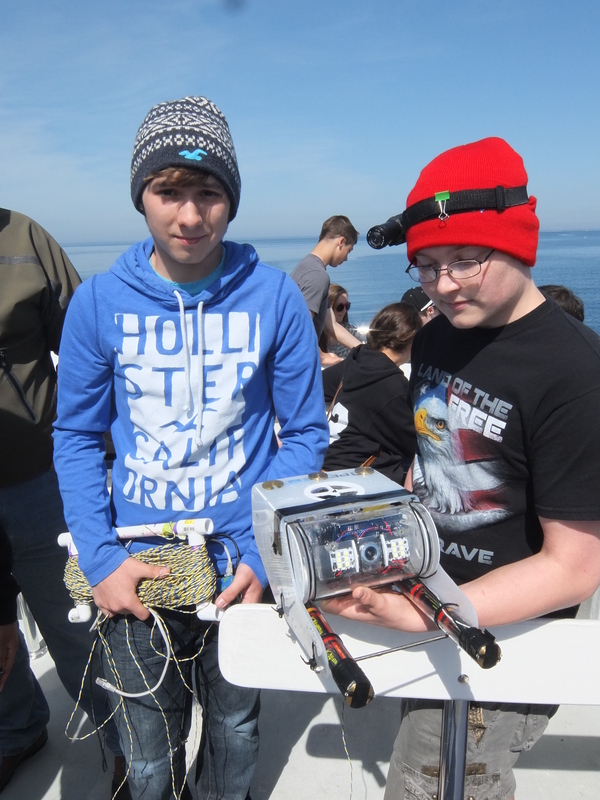 Testing a student built open ROV in the Great Lakes. 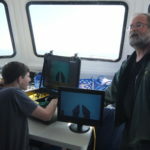 Aboard the ship, students given an opportunity to pilot a working class ROV to view a shipwreck. My school is just a few miles from Lake Huron. This Great Lake impacts our community through tourism, by affecting local climate, and even our health through the quality of the water we drink, swim in, and recreate in. 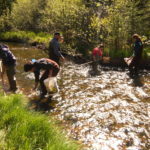 It’s important that my students understand the value of this great resource and also our responsibility to protect these waters and the surrounding watershed that have such a significant impact on our daily lives and livelihoods. I have worked with multiple grade levels. My favorite experiences are when older students work alongside younger students to share their knowledge and love for the environment and their community. In turn, as these younger students grow, they can pass their insights as stewards of the land and engaged student citizens onto the next group of younger students. Student-driven leadership provides a framework to build a stronger school community. The ongoing macroinvertebrate sampling to obtain baseline data on the health of the Pine River watershed is one of my favorite projects. This project links the importance of our community watershed to the health of the waters. This project also has the students collecting and analyzing information which is useful and relevant to monitor the health of the waters. 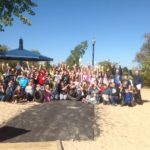 Connecting watersheds to the Great Lakes coastline, my students also partner with the Great Lakes Adopt-a-Beach Program, conducting litter pick-ups along our community’s public parks and local Lake Huron beaches each year. This project contributes to keeping our community beaches clean while raising public awareness toward issues of marine debris. Teaching students a sense of place requires a connection to the land. Helping students become engaged and active in their community is a great way to achieve this goal. 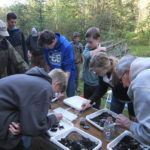 As a partner to the Northeast Michigan Great Lakes Stewardship Initiative network, our school and my class adopts place-based education (PBE) as an instructional strategy to help students engage in Great Lakes and watershed learning experiences. Having a strong connection to and respect for soil, water, plants, animals, and even other humans fosters an opportunity for youth to become stewards of the environment and caring citizens of our community. 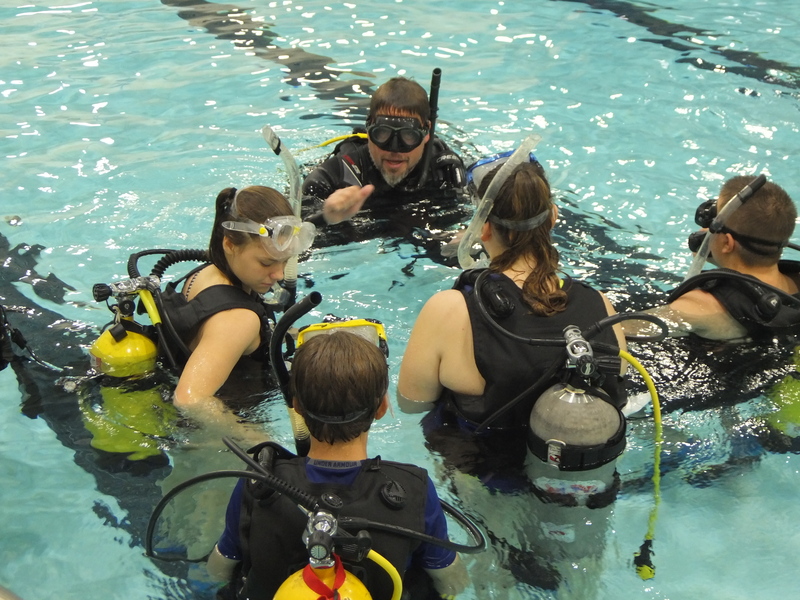 We have had professionals assist our students with hands-on experiences in underwater explorations. 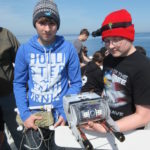 Our seventh- and eighth- graders have had opportunities to build ROV’s and interact with ROV specialists, Dr. Mark Gleason from Grand Valley State University and David Cummins from Alpena Community College. 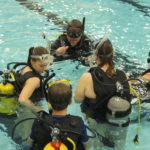 For high school students, Nick Myers from Great Lakes Divers in Alpena, along with Wayne Lusardi and other NOAA scientists, took time to discuss our local cultural heritage with the Great Lakes as well as provide a hands-on experience of what it is like to work in a marine environment. 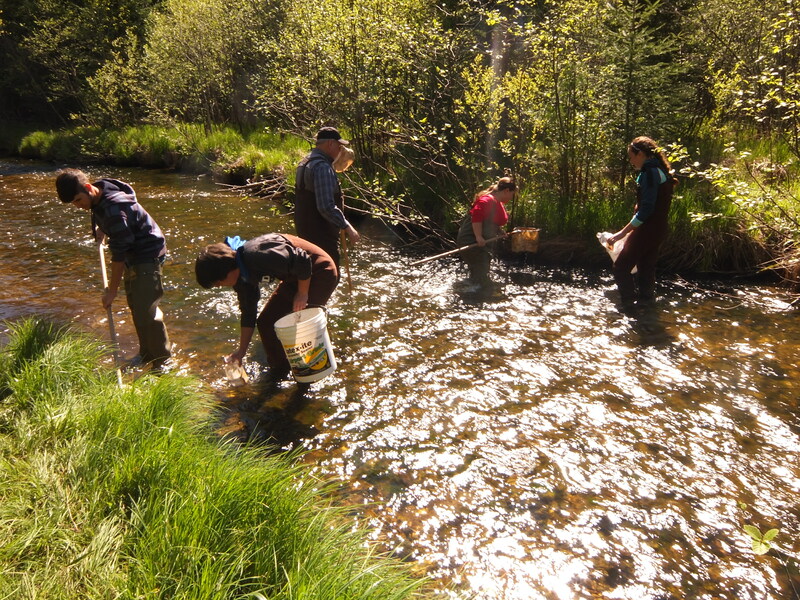 We have also worked with the Pine River-VanEtten Lake Coalition (PREVL) through an ongoing water macroinvertebrate sampling to provide a benchmark for water quality in the Pine River watershed. This project has fostered a sense of place with our students and empowered them to take action in their community. In 2016, I also had the opportunity to serve as a mentor teacher and co-lead our place-based education summer teacher institute sponsored by the Center for Great Lakes Literacy and the Great Lakes Stewardship Initiative. During this teacher workshop, and through the lens of my student’s coastal Lake Huron projects, this training cross-connected teachers with NOAA marine debris scientists, NOAA Thunder Bay National Marine Sanctuary and Michigan Sea Grant, and other marine debris partners such as Alliance for the Great Lakes via their Adopt-a-Beach citizen science beach monitoring program. My overall point in sharing these projects and experiences is that there are many professionals and community members who have the knowledge, experience, and willingness to make a difference with the next generation. I have been fortunate to have the support and guidance of others around me. 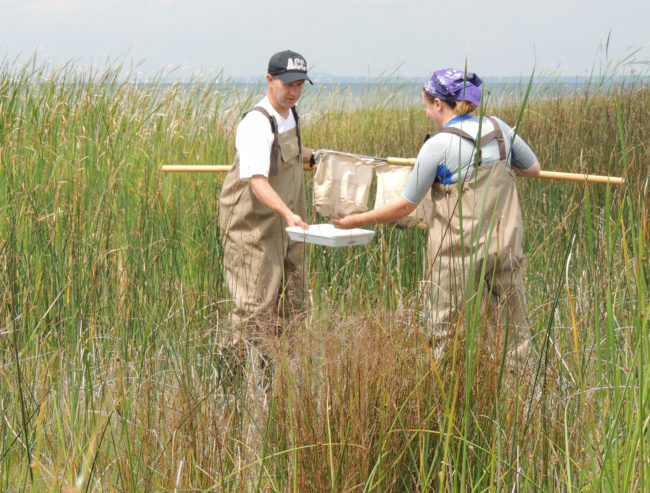 Through opportunities and experiences to connect with community and the local environment, students gain a better understanding of their capacity to be stewards of the land.